All Rio De Janeiro homes currently listed for sale in Rio De Janeiro as of 04/25/2019 are shown below. You can change the search criteria at any time by pressing the 'Change Search' button below. If you have any questions or you would like more information about any Rio De Janeiro homes for sale or other Rio De Janeiro real estate, please contact us and one of our knowledgeable Rio De Janeiro REALTORS® would be pleased to assist you. 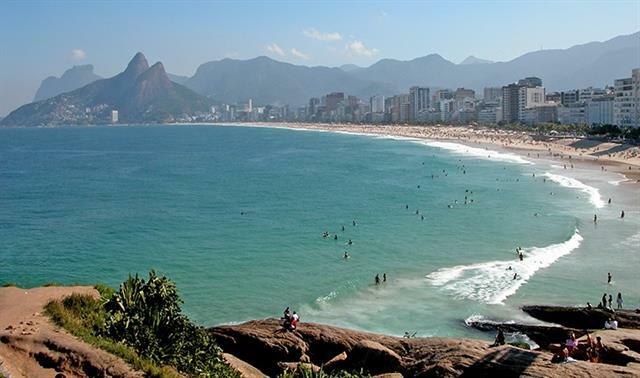 "LEBLON beach right across the street, one of the most beautiful, honored and recognized beaches in the world touching IPANEMA Beach. Located in the highly prestigious, desired and fantasied areas in Rio de Janeiro, Brazil. This apt is not short of a dream. Surrounded by all of the incredible and surreal entertainment of a perfect life, coconut water stands, restaurants and juice bars through out the beach Christ the Redeemer is seeing right behind the beach. This is a dream come true for the nex"